How did you come to join Sniffie? This is quite a funny story, but to keep it short, I searched a place to make our schools mandatory practical training part of studies. After hitting a few curveballs I ended up completing the training at Sniffie. They were so convinced of my work that they decided to extend my stay with a trainee-programme followed by a full-time position. Working at Sniffie is exciting and so far from something you’d get in a big corporation: one time you are celebrating a new big closed deal, and the next second something problematic comes up that needs to be solved asap. Working culture at Sniffie is great, everyone has their own area of expertise and responsibility. At the same time everyone’s working for the same goal. How is the culture in general? We’ve got a nice positive buzz going on constantly at the office and everyone feels like home. I’m currently taking care of the running financials at Sniffie. I’m also handling customer analytics and success. What is your trainee programme concentrating in? My personal trainee programme is mainly focused on strenghtening my expertise on financial management and everything that there is to learn to fully take responsibility of Sniffie’s finance. What are you going to be when you are through the trainee program? I will be taking care of all of the financials of Sniffie. In the future, I will hopefully grow to be the CFO of Sniffie. How has Sniffie team supported you in your growth? 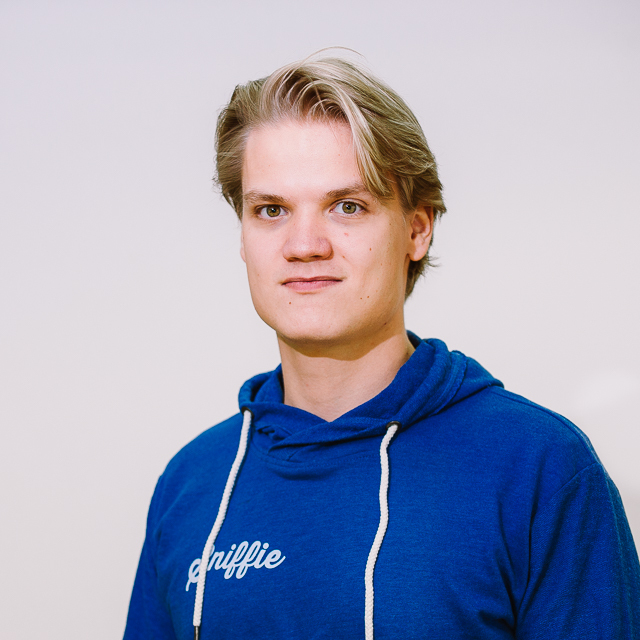 Sniffie team has guided me through the rough patches and taught me what there is to learn about to grow successfully into my future position. I couldn’t be happier of the trust that these guys have showed to me.